In a cold room at Temple University, in landlocked Philadelphia, finger-size fragments of coral bathe in four small tanks of seawater. The white skeletons look dead or bleached — but they are not. Healthy animals reside within these hard bodies. Some wave their tentacles from holes in the gnarled stems, like flowers at a mermaid’s wedding. Getting here was not easy. They were clipped from reefs a thousand feet down in the Gulf of Mexico, and then housed inside a special refrigerated van which traveled by ship before an overnight delivery to the lab. When the van broke down, some stayed in a chilled cattle trough. They were even packed into Mason jars on ice. Not all the jars made it, but the corals did. Alexis Weinnig, a graduate student in the lab who has ushered the corals on their journey, said they are happy today but happier in their home tank, then apologizes for making them sound so human. Humans are pretty good at killing corals. Over the past 30 years, overfishing, pollution and climate change have knocked out about half the shallow water reefs on the planet. Erik Cordes, a deep-sea ecologist who leads the lab at Temple, has found that Lophelia are better at withstanding industrial and climatic stressors than other deep-sea corals, and in some places more than others. Populations in the Gulf of Mexico survive life at the edge of some of the harshest conditions, near natural methane seeps and in slightly warmer temperatures with lower oxygen concentrations and higher acidity levels. They may adapt to changes, too. But Cordes and Weinnig want to know just how much Lophelia can take. “Lophelia is sort of our lab rat,” said Cordes. It is charismatic, survives in extreme conditions and yet could die from even the slightest changes. The explosion and its aftermath killed 11 people, shut down fisheries and decimated coastal and marine ecosystems, including deepwater corals, which were found dead or dying miles from the well. Since 2010, Cordes and other scientists have been working to understand the role that hydrocarbons from the accident and natural-gas seeps play in coral reefs and other deep-sea ecosystems. 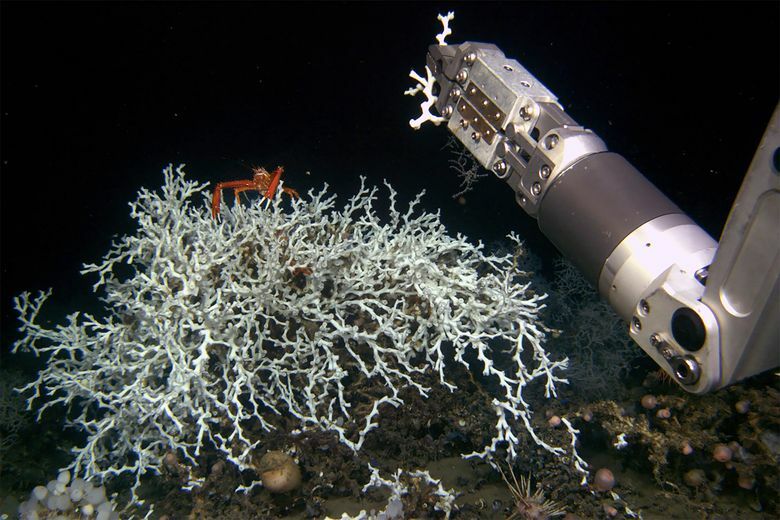 To find out if climatic changes making their way to the deep could break Lophelia’s coping abilities, Weinnig has been exposing corals to various combinations of stressors — elevated temperature and pH, oil and dispersant — and monitoring the animals’ response and recovery. In today’s experiment, six different types of Lophelia from the Gulf of Mexico, which are expected to respond differently to the stressors, will face oil, dispersant and a combination of the two. In 24 hours, she will assess the effect of each exposure. Then she will place the remaining corals into recovery tanks with clean water to see how they fare in the days to come — because in the real ocean, some corals can bounce back. By extracting ribonucleic acid or RNA from the flash-frozen samples, she will be able to see what genes are turning on and off and compare differences between the types of coral. This will give her molecular snapshots of the least and most resilient Lophelia strains. But to see which corals are definitely not super, it only takes a couple hours: In the dispersant exposure tank, a few fragments are already spitting out their guts (or filaments). Some make excess mucus, like humans when they are sick. Nothing special seems to be happening in the oil, dispersal, control or combination tanks, which reflects what Weinnig has been finding throughout these exposure experiments. She has found that regardless of temperature or acidity, dispersant makes Lophelia very sick. These corals can recover from exposure after just 24 hours in regular temperatures, but struggle or get worse if temperatures are elevated. The other stressors, including increased acidity, do not seem to bother the corals too much, alone or combined. Some corals even seem to investigate the oil with their tentacles. As sick as the corals got in any condition, only two fragments died — and that was in a tank with elevated temperatures and dispersant. 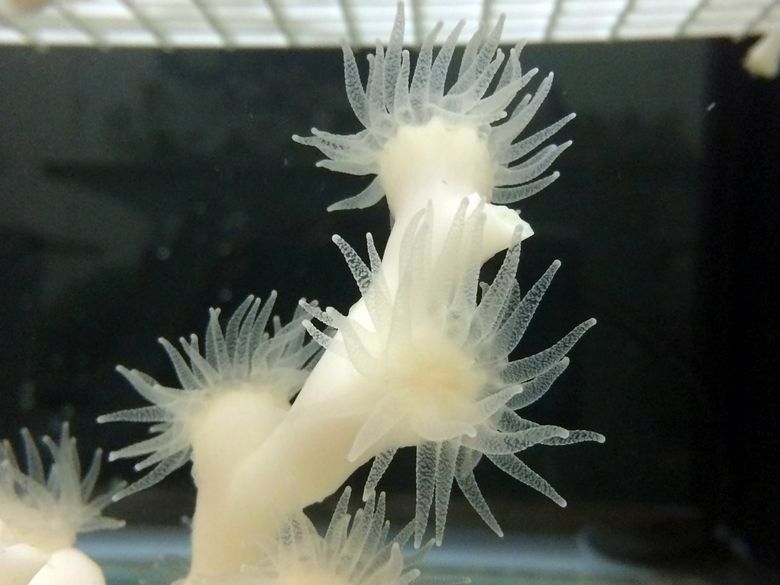 This suggests that while Lophelia may be able to recover from an oil spill and cleanup under current climate conditions, coping with an environmental accident in a warmer ocean of the future may be too much for even this super coral to handle. Less toxic dispersants that exist but aren’t widely used may reduce stress on the corals in the case of a future disaster. Gates’ lab is using assisted evolution to develop corals that can keep up with rapidly warming shallow waters. This restoration approach means finding the strongest individuals and breeding them, but also training them to get used to certain stressors or strengthening the supportive microbes, like algae, living in their tissues. Every reef ecosystem is a little different: Certain problems require corals with certain superpowers. 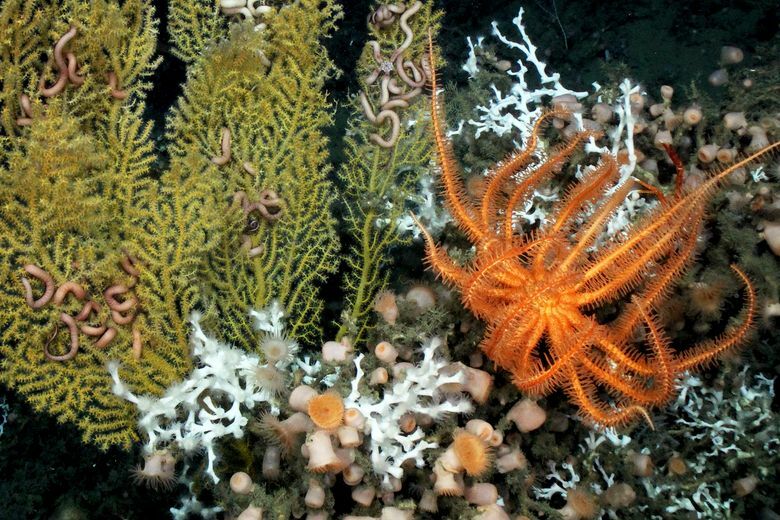 Gates says restoration of deepwater reefs threatened by drilling will be a challenge, because poorly understood reef ecosystems are difficult and costly to access.